Representatives of the Canadian and American federal governments met on August 15th and 16th for the second round of negotiations to update the 54-year old Columbia River Treaty. The meetings were held, not in Ottawa or Washington, but in Nelson, in the Canadian Columbia River Basin. The treaty between the two nations that share the 2000 kilometres of the Columbia River and its tributary, the Kootenay, was originally signed to allow for cooperation on flood control and power generation through joint U.S.-Canadian control of Mica, Duncan and Keenleyside dams and their reservoirs in Canada. Fluctuations in reservoir levels, sometimes as large as 30m, leave a ecological dead zone in the constantly-shifting shoreline along the edges of the reservoirs. 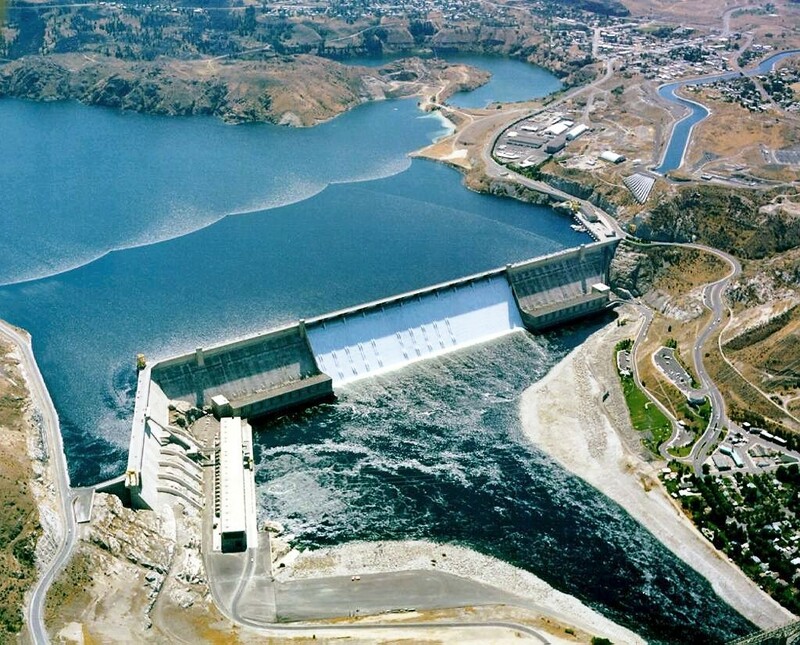 In 1942, decades before the treaty was signed, the U.S. constructed Grand Coulee dam in Washington, blocking salmon migration into the Canadian Columbia River entirely. Today, fish passage is in place or planned for every dam downstream of Revelstoke, except Grand Coulee and the nearby Chief Joseph dam. Increased power generation in the U.S. because of Canadian water storage is worth hundreds of millions of dollars per year, but Canada is only entitled to half of this electricity under the current treaty. The American flood control benefits of the Canadian dams were paid for with a lump sum, but only until 2024. Shortly before the first round of negotiations in May of this year, Canada’s Foreign Minister Chrystia Freeland told Canadian First Nations in the Columbia River Basin that they would not be allowed at the negotiating table. The three Canadian First Nations in the Columbia Basin—the Ktunaxa, Secwepmec and Okanagan Nation Alliance—made public their disappointment and anger at the Minister’s decision. Libby Dam in Montana, the only American dam covered by the current treaty, is managed exclusively by the U.S. Army Corps of Engineers, even though Koocanusa, the reservoir it creates, stretches 68 km into Canada. The Kootenay River downstream of the dam also flows back into Canada at Creston.